If you’ve been following along with our family’s adventures, you know that we love donuts! We’ve dedicated part of our website just to those insanely delicious treats. We’ve toured most of the shops in our home base of Cleveland as well as various donut shops around the country. Let’s just say that donuts are important to us. 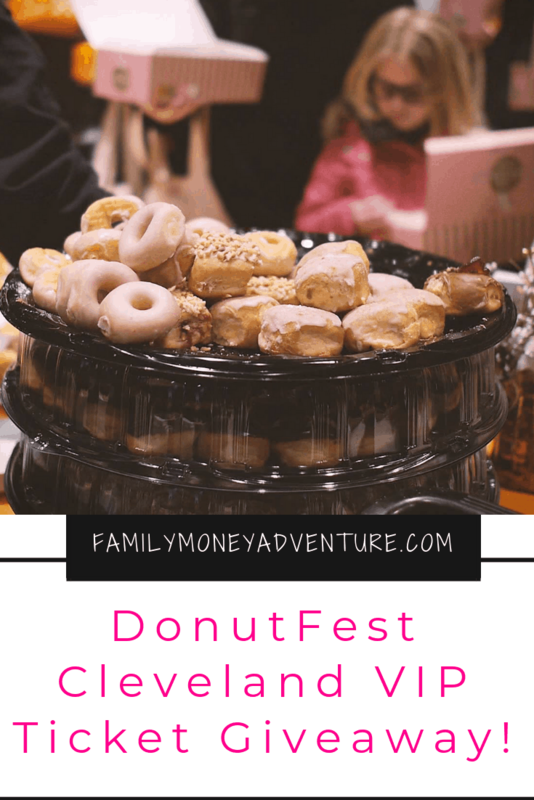 Donut Fest is a celebration of… surprise! Donuts! Donut Fest is an event held in several cities throughout the year. 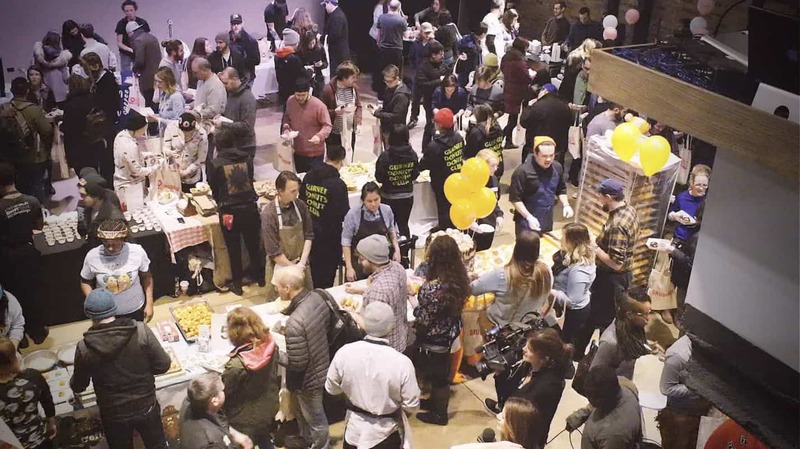 Cleveland had a Donut Fest in 2018 and we must have shown enough Donut love to be able to host another one in 2019. Fun Fact; Donut Fest is dedicated to supporting our local communities so $1 from every ticket sale is going to the Greater Cleveland Food Bank. Here’s the Bad News…Donut Fest Cleveland is SOLD OUT! There are no more tickets being sold for the event. From what I heard, the event sold out very quickly. Now that I’ve broken your heart, would you like some good news? Ok, here it is. 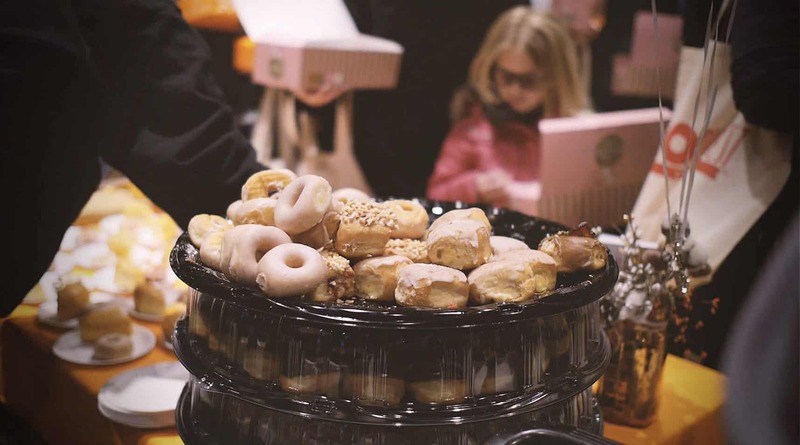 We are giving away one lucky reader 3 VIP tickets for Donut Fest Cleveland! Signup for Family Money Adventure’s E-Newsletter (see the bottom of this post) and comment here letting us know you signed up. Visit Family Money Adventure on Facebook and leave a comment on this post letting us know you visited our page. Follow @DonutFest and @TheFMadventure on Twitter and leave a comment on this post letting us know you’re following both. Follow Family Money Adventure on Pinterest and comment on this post letting us know you followed us. Note: Be sure to post separate comments for each action, not all together in one comment. Each comment counts as one entry. The maximum total of comments per person is 4 plus entries on Instagram. Rules: The giveaway will close on Thursday, January 31 at 11:59 pm and the winner (chosen randomly) will be notified the following day. Winner must respond within 48 hours or we will choose another winner. Good luck! Make sure you are leaving a comment for each task. This will get you more entries. Each comment only worth one entry. You can comment once for each task and then each comment counts as one entry. You can have 4 entries through tasks listed above and then also the one on Instagram. I signed up for the email newsletter! Followed Donut Fest & FMAdventure on Twitter! Followed both accounts on Twitter! I would to attend the donut fest! I visited and liked the fb page! I followed on Instagram and tagged 2 friends! I followed on Pinterest! Would love to win! Signed up!! Thanks for the chance!! I am following you on Twitter and I am following donutfest! Subscribed 😁 This is awesome!! I also visited the Facebook page! Submitted email for newsletter. Please pick this pregnant lady for the donut tickets. Also followed on Pinterest and on twitter as well!! Visited and followed your Facebook page! I’ve been following along for awhile- love the content and your support for local businesses!! I just subscribed. Looking forward to more of your content!! I’m following you both on Instagram! Visited and Liked your FB page! Following both on Twitter now! I followed yours and donutfests twitter account!!! I followed your Pinterest account! Following you on Facebook and Instagram! Just liked the Facebook page! Great articles shared! In love with donuts too!! Signed up for your newsletter!! I followed @donutfest and @thefmadventurer on Twitter ! I viewed the Facebook page! Congrats to our giveaway winner, Meredith!